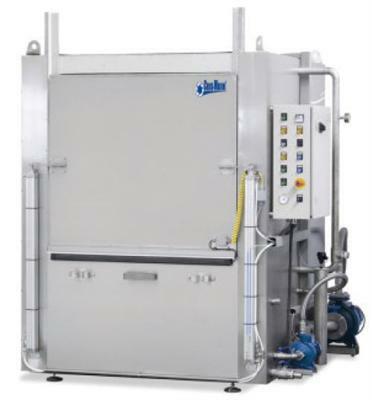 The spray washing machines provide excellent cleaning results thanks to a smart design used together with heat, high spray pressures and liquid flow rates achieved by the built in pump. The spray system rotates around a fixed load giving a perfect cleaning result together with a very easy loading- and unloading system. Full flow coarse filtration via round filter baskets.